적외선을 이용한 통신인데, 적외선은 빛에 포함되어 있다. 따라서 이것을 통신에 이용하기위해 38Khz modulation을 한다. IR 수신할때 문제는 리모콘에만 반응하지 않고, 형광등이나 빛에 오동작 할 수 도 있다는 것. (IR) ProtocolAn algorithm for turning a number of parameters into an IR signal. It defines the necessary parameters and their allowed values. In almost all protocols, the most frequently changing parameter is called “F” (function number). Almost all protocols have a “device number” called “D”. 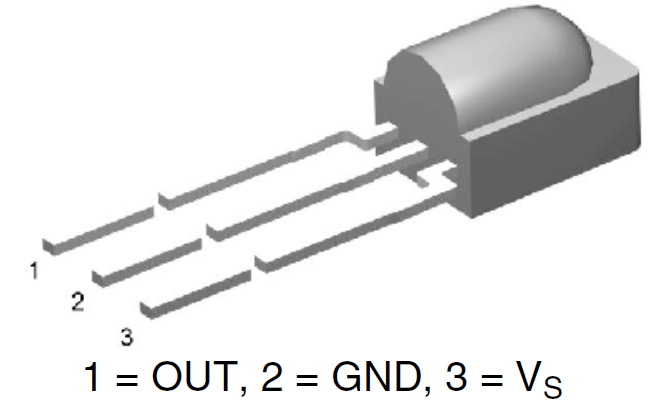 Many protocols have a “sub-device” number, called “S”. A few protocols have a toggle parameter, in general called “T”, and being persistent. A protocol may also have other parameters, with “arbitrary” names.